Question: What is Amazon Web Services(AWS)? AWS is Amazon's cloud web hosting platform that offers flexible, reliable, scalable, easy-to-use, and cost-effective solutions. Cloud computing is an computing service in which large groups of remote servers are setup to allow centralized data storage, and online access to computer services or resources. Question: What are the the benefits of Cloud Computing? Question: What are the types of Cloud Computing? Public Cloud: Cloud computing services are managed by third party. Private Cloud: Cloud computing services are managed by own organization. Hybrid Cloud: Its combination of public cloud and private cloud. Question: What are the Cloud Service Models of Cloud Computing? IaaS (Infrastructure as a Service): It provides users with provision of processing, storage, and network connectivity as per requirement. PaaS (Platform as a Service): The service provider provides various services like databases, queues, workflow engines, e-mails, etc. to their customers. SaaS (Software as a Service): Third-party providers provide end-user applications to their customers with some administrative capability at the application level. 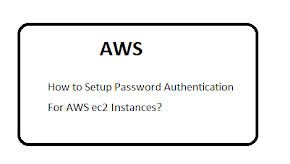 Question: What is AWS EC2? 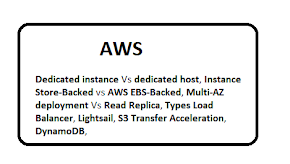 Full form of EC2 is Elastic Compute Cloud. EC2 allow use virtual machines of different configurations as per their requirement. Question: What is Load Balancing? Load balancing means to balance the load on web server through adding resources on system. Load balancer manage the load on the server so that it work efficiently. Question: What is Elastic Load Balancing? Elastic Load Balancing is dynamically growing and shrinking the load-balancing capacity depending on server. Question: What is Elastic Load Balancer? It spread the traffic to web servers, which improves performance. It is used to distributed the traffic to EC2 instances over multiple available zones, and dynamic addition and removal of Amazon EC2 hosts from the load-balancing rotation. Question: What is Elastic Caches? 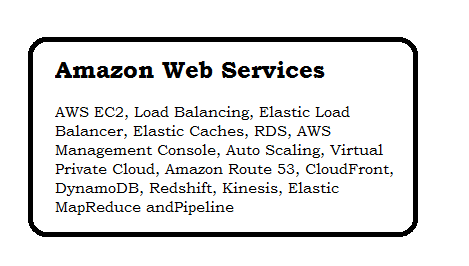 Amazon Elastic Cache is a web service that manages the memory cache in the cloud. Question: What is Amazon RDS? Relational Database Service (RDS) provides access of database like MySQL, Oracle, or Microsoft SQL Server database engine. Question: What is AWS Management Console? AWS Management Console is a web application for managing Amazon Web Services. It provide you detail about all servers and its resources, user billing/payment etc. Question: What is Auto Scaling? Auto Scaling is enabled by Amazon CloudWatch. AWS CloudWatch can be used to measure CPU utilization, network traffic, etc. When traffic increase then resource added automatically. Question: What is Amazon Virtual Private Cloud? 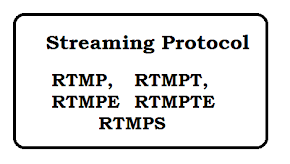 Amazon VPC allows the users to use AWS resources in a virtual network. Question: What services we can use with Amazon Virtual Private Cloud? Question: What is Amazon Route 53? It is a highly available and scalable DNS web service. corporates to route the end users to Internet applications by translating human readable names like www.facebook.com, into the numeric IP addresses like 192.0.2.1. CloudFront is a CDN retrieves data from Amazon S3 bucket and distributes it to multiple datacenter locations though edge locations. Question: What is Amazon DynamoDB? 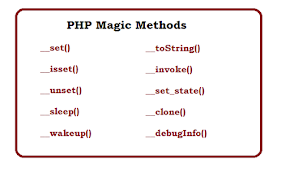 It is NoSQL database that allows to create database tables, store data in table and retrieve any amount of data. It automatically manages the data traffic of tables over multiple servers and maintains performance. Question: What is Amazon Redshift? It is data warehouse service in the cloud. Its datasets range from 100s of gigabytes to a petabyte. Question: What is Amazon Kinesis? Amazon Kinesis is a managed, scalable, cloud-based service that allows real-time processing of streaming large amount of data per second. Question: What is Amazon Elastic MapReduce? Amazon Elastic MapReduce is a web service that provides a managed framework to run data processing frameworks such as Apache Hadoop, Apache Spark, and Presto in an easy, cost-effective, and secure manner. Question: What is Amazon Pipeline? Server Architecture Interview Questions and Answer.